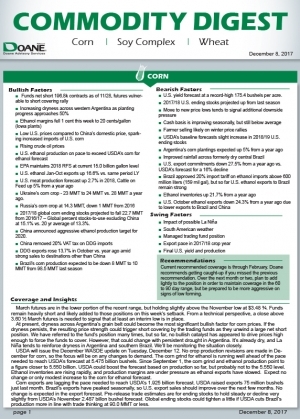 Product Details The Commodity Digest report investigates global events and forces influencing futures prices. Each issue includes an analysis of the bullish and bearish factors driving the markets along with Doane's long-respected risk management advice, recommendations and forecasts. 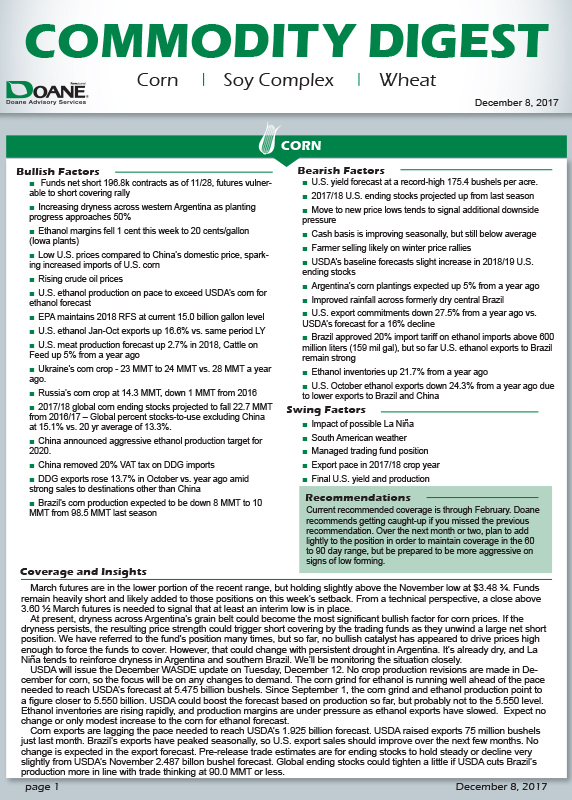 10-11 page weekly report.